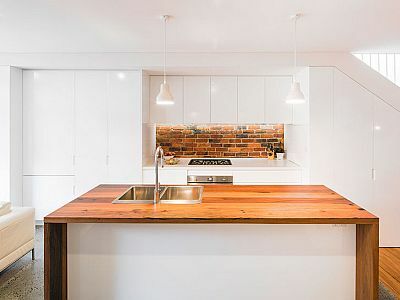 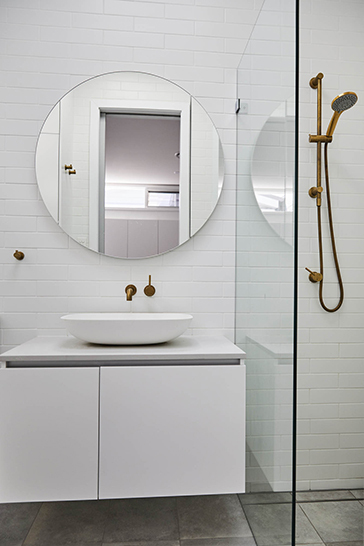 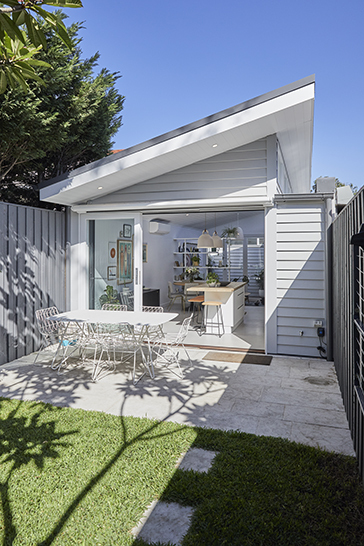 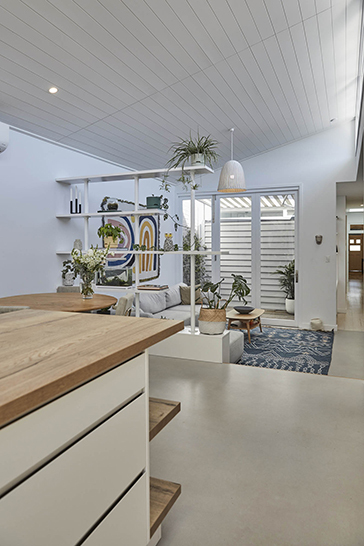 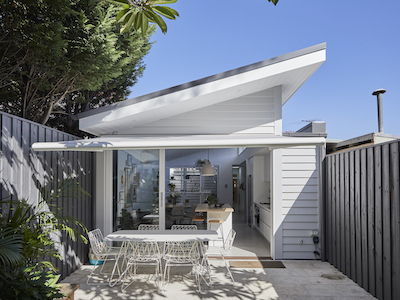 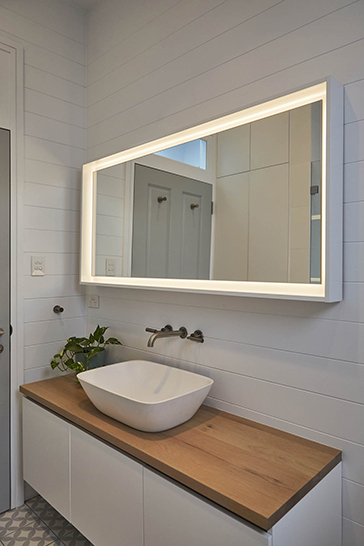 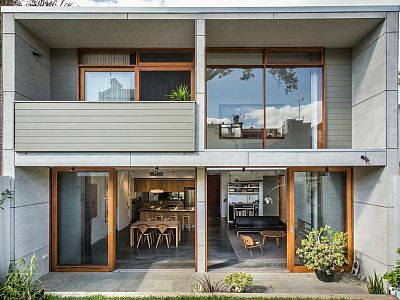 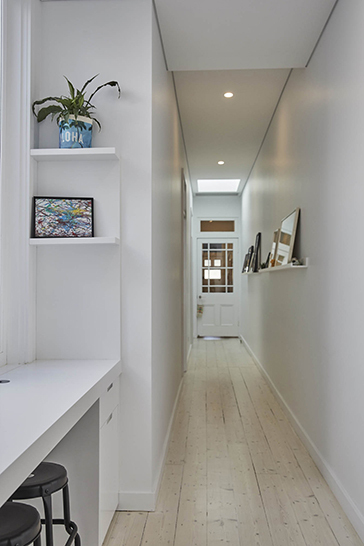 The block for this terrace house in Randwick is almost 50m long, but less than 5m wide. 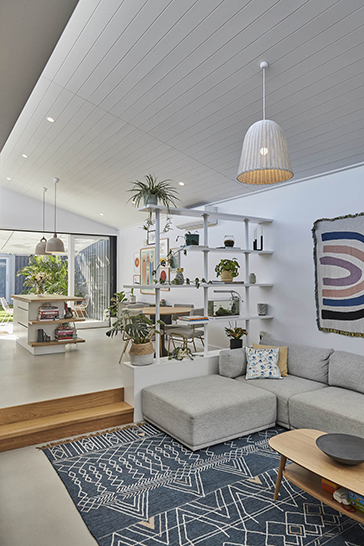 In order to take advantage of all the space, but still have the main living area full width of the block and facing the back yard, 2 new bedrooms a bathroom and an ensuite in the middle of the house receive sunlight and ventilation from 2 small internal courtyards. 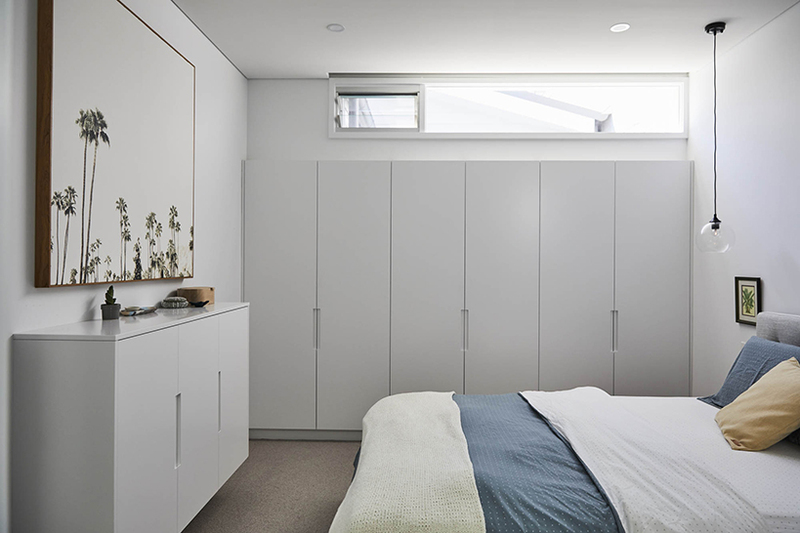 There are 3 generous bedrooms in total. 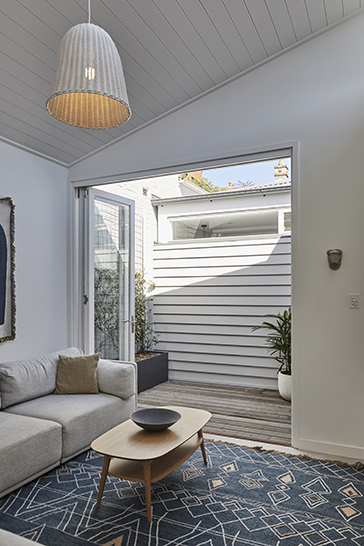 The courtyards create a series of intimate spaces and an ever changing quality of light. 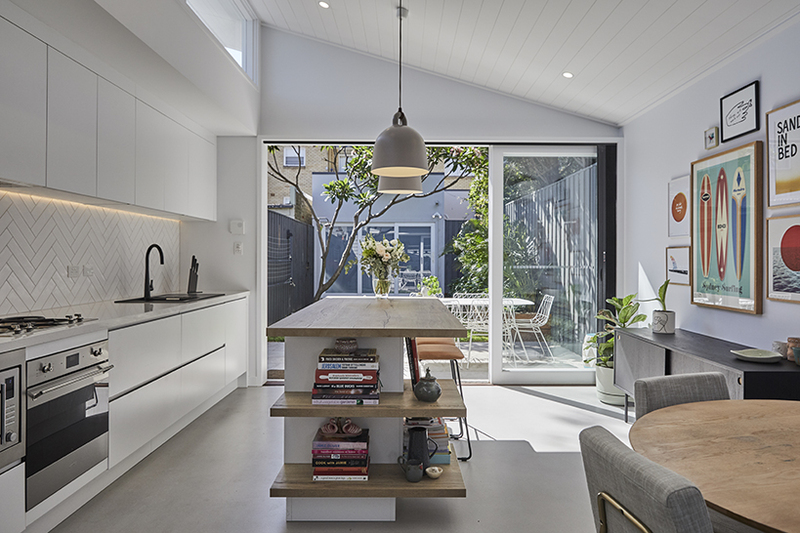 The living space at the back also benefits from a hi-light north facing window.